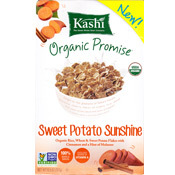 Kashi is banking that sweet potato is going to be a hot new trend in breakfast cereals. On the box, they actually refer to sweet potatoes as "the key ingredient to the next generation of breakfast cereals." If Sweet Potato Sunsine is going to lead a revolution in the cereal aisle, it had better be good. Good news... it is quite good. The flakes are very crunchy. The taste of molasses is very distinct. Occasionally, you notice a hint of cinnamon. The flavor of sweet potato is apparent and enjoyable, but it plays almost a supporting role to the molasses. A more fitting name for Sweet Potato Sunshine might be Molasses Mornings. If I have to nitpick (which I do because I write cereal reviews), the flakes can be occasionally gritty and there's the slightest bit of bitterness when you take your first couple of bites... likely a reaction to molasses when you're more used to sugar. But I suspect most people won't notice or mind those shortcomings. So, I liked this cereal. Will it lead to a revolution in cereal production? Ehhh... I liked it. I didn't say I loved it. Nutritional Considerations: Each 1 cup serving has 180 calories, 1 gram total fat (0 grams trans and 0 grams saturated), 0 mg cholesterol, 160 mg sodium, 43 grams total carb, 4 grams dietary fiber, 7 grams sugar and 5 grams protein. What do you think of Sweet Potato Sunshine? Love this cereal. I'm going to buy it again. I bought a box of these last Saturday at an Amish owned & run 'discounter store'. They had 'expired' by one month. And they were 1/5 the price of a 'new' box. 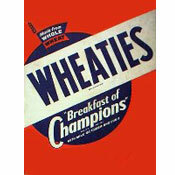 I loved them... the molasses and cinnamon flavor helps make this a very tasty breakfast! And the price could not be beat! The taste, color, and crunch of these flakes make these the new darling of my big breakfast bowl! Perfectly sweetened sweet potato... a great balance. I might have to try these. I had high hopes for Kellogg's Forested Mini Wheats Pumpkin Spice, but they lacked a molasses or maple flavor, along with pumpkin. Mostly just spice, but nothing special. I'm not a fan of where Kashi is going with their cereals, though. 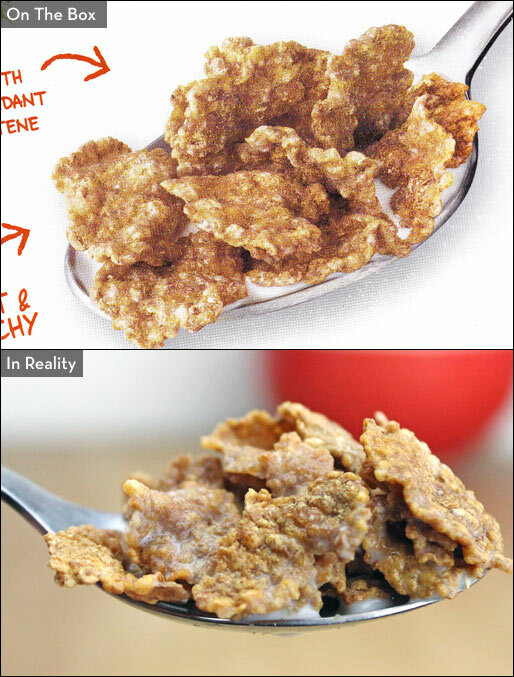 The whole non-GMO thing has pushed the protein down and the calories and price up on the classic GoLean, and none of the new cereals have tasted that great.